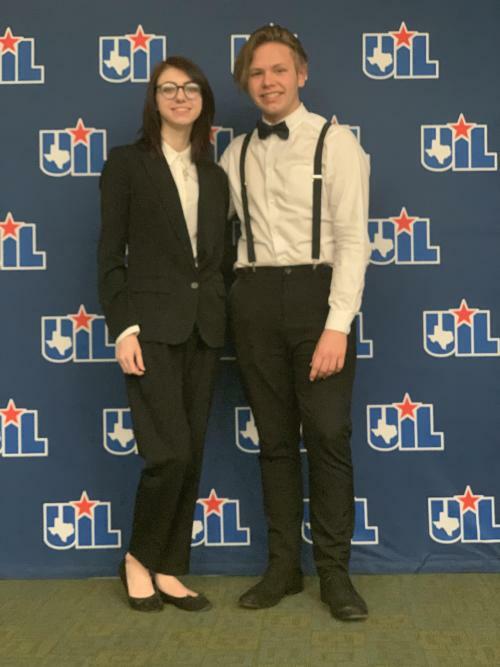 Congratulations Jasmine Rigdon and Harley Lenaway on making it to octo-finals at State Policy Debate. This is a huge accomplishment as only 16 teams in the state of Texas make it to this level. Jasmine and Harley received 9th place overall, losing only to Mildred and New Boston, who took 1st and 2nd place respectively. They have had a great year and represented Atlanta well at every meet they have attended.